The American Academy of Pediatrics is publishing updated recommendations on car safety seats. When a child rides rear-facing, the head, neck, and spine are all supported by the hard shell of the car safety seat, allowing the car seat to absorb most of the crash forces, and protecting the most vulnerable parts of the body. When children ride forward-facing, their bodies are restrained by the harness straps, but their heads — which for toddlers are disproportionately large and heavy — are thrown forward, possibly resulting in spine and head injuries. Parents often look forward to transitioning from one stage or milestone to the next. In car seats, this is one area where transitions are not “positive,” and where delaying transitions is best, according to the AAP. Each transition — from rear-facing to forward-facing, from forward-facing to booster seat, and from booster seat to seat belt alone — reduces the protection to the child. “Car crashes remain a leading cause of death for children. Over the last 10 years, four children age 14 and younger died each day. 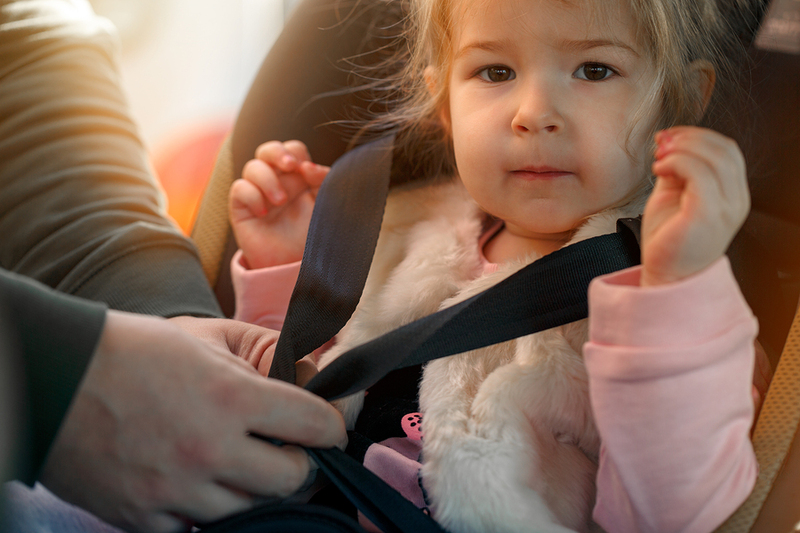 We hope that by helping parents and caregivers use the right car safety seat for each and every ride that we can better protect kids, and prevent tragedies,” said Dr. Hoffman.